Here's a link to a list and map of known GeoTours and Reward GeoTrails all over the world. 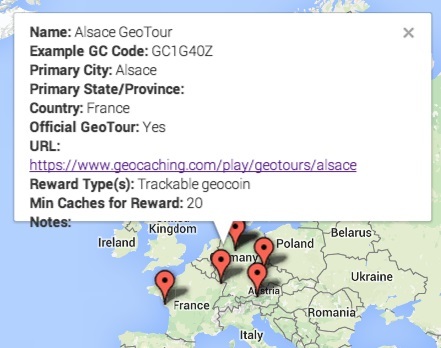 You'll find information about GeoTour and geotrail locations, reward types and numbers of geocache finds required to obtain rewards. Your input for the list is very welcome! If you know of a geotrail that's not listed, or if you know that a listed geotrail is no longer active, please let us know by posting in the Suggestions/Edits thread. We'll do our best to keep the list current. But if you're planning to travel somewhere to attempt a GeoTour or reward geotrail, it's always a good idea to call or email ahead to be sure rewards are still available. 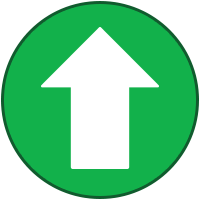 And if you're interested in creating an official Geocaching.com GeoTour, you can get all the details here. This forum is a place for you to share your experiences with GeoTours and geotrails, read about what other people have seen and done, comment on what makes a great GeoTour or geotrail, and much more. Have fun!